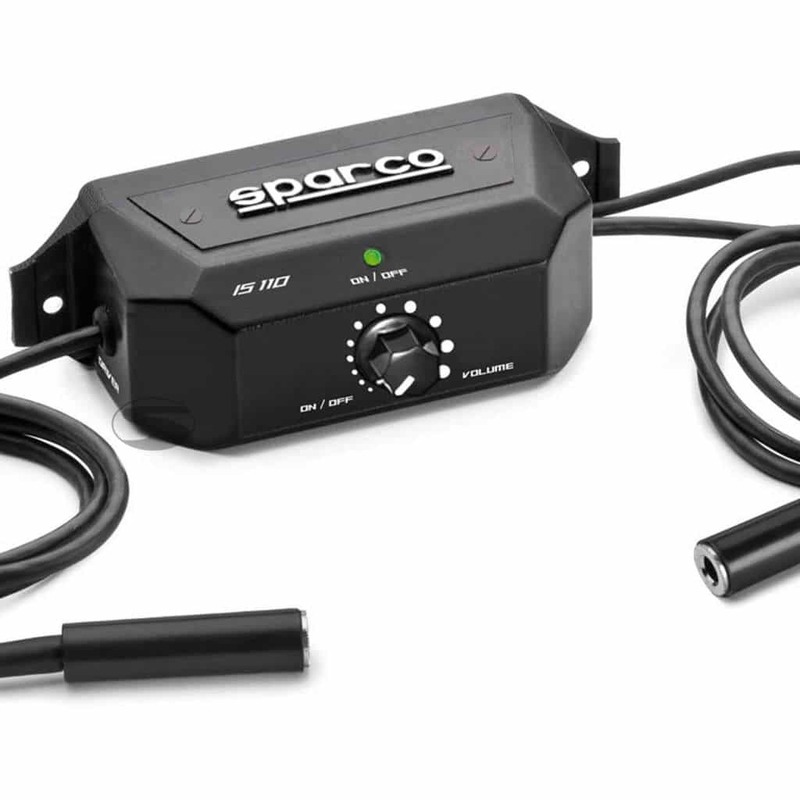 The Sparco IS-110 intercom amplifier offers driver and co-driver excellent communication between each other. The IS-110 uses 6.3mm jack plugs and a single volume control for both users. The intercom can be powered using a 9v battery or directly into the car’s 12v supply.